The skin begins to sag when it loses volume, which occurs as you age due to the loss of bone, collagen, and fat in your face. For most people, it is most noticeable around the cheekbones and eyes, which can create a gaunt appearance because of the “depressed” skin. This can cause you to look older, more tired and run down. Collagen and elastin are crucial to the health and appearance of human skin helping maintain its suppleness. Both proteins protect the skin against laxity by fighting the effects of time and gravity for a tighter, firmer, and more supple appearance. When all three of these occur simultaneously, over time, you look more aged and more drained than desired. The extent of aging is also tied to our genetics, our overall well-being, and our way of life (exercise and nutrition). Volume loss in skin affects both women and men. Cosmetic Laser Dermatology offers cutting-edge non-surgical treatments to address skin laxity and volume loss that can be customized to meet your needs. Our board-certified dermatologists have 100+ years of combined expertise and experience in treating more than 150,000 San Diego residents for a wide variety of skin conditions, including crepey, sagging skin. At Cosmetic Laser Dermatology, our doctors address your unique condition with the latest and most effective treatment options for aging skin and are considered leading experts in cosmetic dermatology. In fact, they have been involved with many of the current clinical trials and research studies behind many of the groundbreaking dermatologic solutions for skin laxity and volume loss. To see how we can help you, schedule a consultation today at Cosmetic Laser Dermatology. With 45+ lasers and a comprehensive range of treatment options, our team of skilled dermatologists can create a customized treatment plan to address each patient’s unique concerns. We offer a comprehensive selection of dermal fillers to help you achieve the best possible results. To restore volume, soften creases, and even plump thin lips, schedule a consultation with our staff of board-certified dermatologists today. FDA-approved Juvéderm is one of the most effective dermal filler treatments available, and it is one of the most popular procedures we perform. fda.gov explains how Juvéderm was approved. The injections are composed of hyaluronic acid (HA), a hydrating substance found naturally in the body that smooths wrinkles and folds by restoring volume loss in the skin. As you age, you start to lose hyaluronic acid in addition to collagen, which causes the structure and volume of your skin to diminish. We also offer Juvéderm Ultra Plus. a thicker version of the traditional Juvéderm. It is ideal for softening deeper lines, such as nasolabial folds. Juvéderm Voluma is another filler designed to add volume to your face. It is specifically formulated to volumize the mid-face, cheek, and chin. A thicker filler than traditional Juvéderm, Voluma can provide immediate results that last up to 2 years or more. Voluma is unique because of it is FDA-approved to immediately add volume to the mid-face cheeks, giving you a characteristic and unobtrusive lift. The secret to its effectiveness is its progressive Vycross innovation, which uses a smoother gel than other fillers that streams effortlessly and reliably to deliver a more natural look. 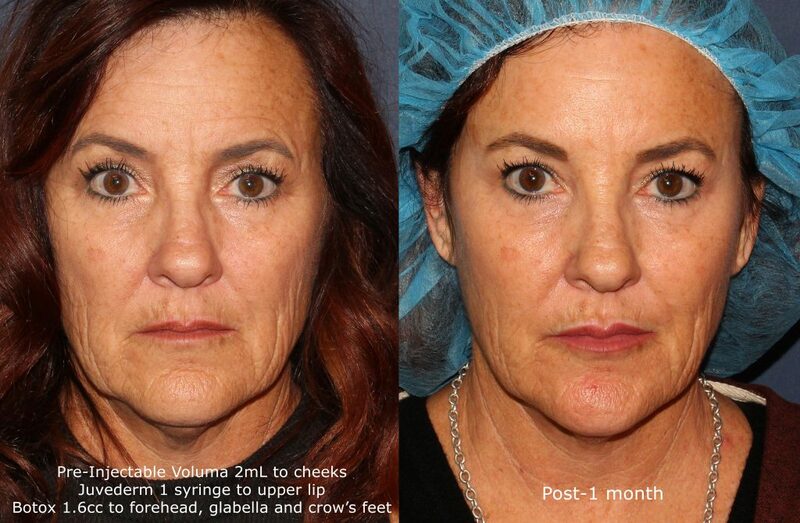 Voluma is a great option if you don’t want or need conventional surgery to address direct facial volume loss, but desire natural-looking results for facial rejuvenation. Another great option from the Juvéderm line of HA fillers to receive FDA approval for addressing volume loss is Juvéderm Vollure XC. Vollure is an ideal filler treatment for moderate to severe facial wrinkles, such as nasolabial folds. What makes Vollure a true game-changer in cosmetic dermatology is that you can typically expect results to last up to 18 months. Restylane injectable treatments improve volume loss in the skin by diminishing wrinkles and other signs of aging. Also composed of hyaluronic acid, Restylane creates more volume and moisture in the skin. The improvement is gradual and subtle, making it also effective for restoring volume to lips that have thinned due to aging. It is the one filler that has been in use around the world for the longest time with the fewest adverse effects of any filler. The Restylane line also includes two formulations considered “next generation” HA fillers to correct moderate to severe wrinkles, particularly nasolabial folds. Restylane Refyne and Restylane Defyne are innovative fillers that incorporate a new technology called XpresHAn to create a uniquely flexible quality to the injectable gel that mimics the skin’s natural movement. With Refyne and Defyne, patients can effectively erase laugh lines and maintain natural-looking results for up to 12 months. You may not realize it, but the hands often betray your age. As the skin loses volume, the bones and veins become exposed and very prominent. 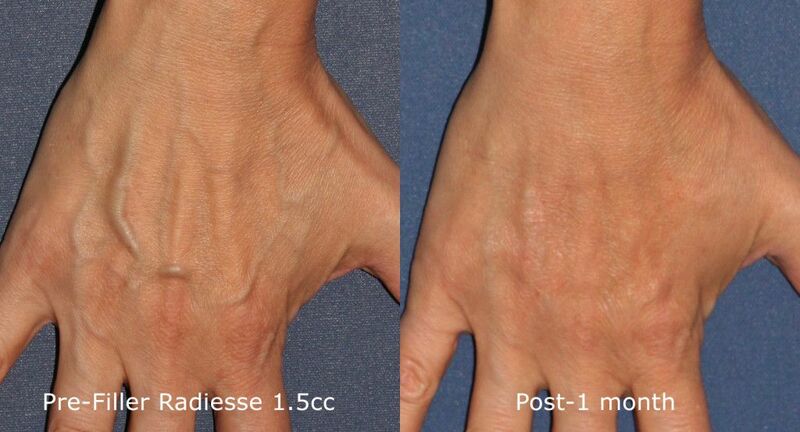 Radiesse is the only filler FDA-approved specifically for the hands. Not only are the calcium-based injections highly effective for treating skin laxity, but they also stimulate collagen production in the skin to add lift and volume over time. The skin immediately looks rejuvenated yet continues improving for 3-4 months as collagen production is increased. Typically, optimal results happen 5-6 months and can last 12 months or more. 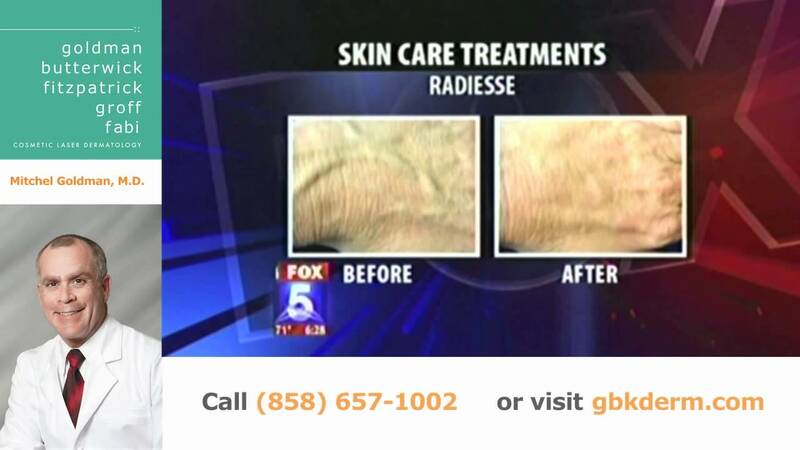 Radiesse is also commonly used in the mid-face, chin and jawline area. This fine HA filler is specially designed for the most superficial smallest wrinkles especially around the eyes and lips. Results generally last 6 months. This collagen-based filler contains microscopic beads which last nearly forever and is specially designed for acne scars and deep wrinkles. Sculptra is another anti-aging bio-stimulatory filler treatment known for its ability to correct the appearance of volume loss. It builds collagen for the gradual improvement of volume loss and skin laxity. The final result is added volume and contour to the face that normally lasts 2-3 years. To see the amazing results you can achieve with dermal fillers, please visit our Before & After Gallery to see the results of actual patients. A liquid facelift is a non-surgical method that combines fillers and neuromodulators to correct minimal skin laxity or address volume loss around the mouth and cheeks. It restores a youthful appearance with virtually no downtime. A major advantage to a liquid facelift is that it can be precisely tailored with any combination of dermal fillers and neuromodulators, such as Juvederm and Botox, or Sculptra, Restylane and Dysport to fit your given needs and goals. Our board-certified, experienced, and highly-skilled cosmetic dermatologists will work closely with you to create a custom treatment program that meets your aesthetic goals. Neither skin laxity nor volume loss is restricted to the mouth or cheeks. It also occurs in the eyebrows and the neck. Ulthera, commonly referred to as Ultherapy, is a non-surgical skin lifting treatment that utilizes focused fractionated ultrasound energy to go deep in the tissues to restore volume and tighten loose skin for a smoother, more supple appearance. Ultherapy is a viable alternative for patients averse to surgery, such as a facelift or neck lift. Furthermore, Ultherapy is an effective preventative measure if you have minimal skin laxity on the décolletage or upper chest. In fact, our board-certified dermatologists played an integral role in Ulthera achieving FDA approval for diminishing wrinkles in this area. There isn’t the recovery of surgery, which is a major reason it is so popular. The effects are usually immediate, but the maximum lift will not be evident for 6-12 months as the newer, stronger collagen grows and rejuvenates the skin. Additional treatments every 6-12 months are recommended for best results. To help trigger collagen production that has slowed due to aging, Thermage is another treatment that uses radiofrequency to heat up the layers deep within your skin. This helps the skin appear tighter and firmer, enhances skin tone, and improves skin texture. Non-invasive ThermageFLX is minimally painful and results in no downtime for effective, skin-tightening. Results are almost immediate and then continue to improve over time as the new collagen begins to build. Another non-surgical skin lifter is Silhouette InstaLift, which provides an immediate lifting effect and increases your natural rate of collagen production. The result is noticeably firmer skin and restored facial volume that gradually improves to a peak at 2-3 months. The results of InstaLift can vary, but typically patients will have skin tightening results for 1-2 years. This procedure involves specially-designed dissolvable sutures that slowly disintegrate while simultaneously addressing deep tissue issues and revitalizing skin laxity. With targeted radiofrequency energy, ThermiLift is excellent for non-surgical skin tightening. The radiofrequency goes deep to strengthen the skin in its foundational layer by stimulating the rate of collagen production. ThermiLift is an alternative to a face or neck lift, without the accompanying incisions and scarring. ThermiLift reduces skin laxity with little pain and minimal downtime for a highly effective option for facial rejuvenation. 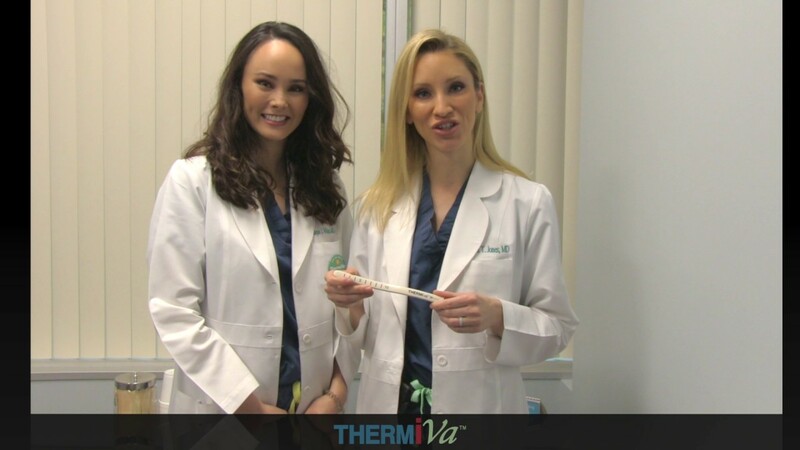 For minimally invasive skin tightening, ThermiTight also uses radiofrequency energy delivered through a tiny probe to going deep into the skin. The energy gently heats the tissue enough to stimulate collagen production without damaging healthy cells. The gradual heating action safely strengthens the support structure of the skin, resulting in tighter, firmer skin. 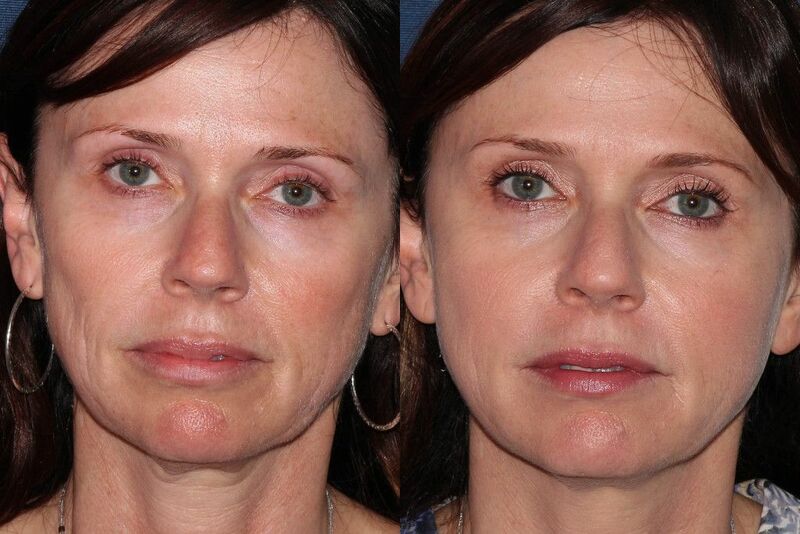 This non-surgical facelift involves virtually no downtime and is safe for all skin tones and types. At Cosmetic Laser Dermatology, your healthy skin is our passion, and we’re dedicated to helping you maintain a healthy, more youthful appearance. Our board-certified dermatologists are pioneers in the dermatologic industry, and through the use of state-of-the-art equipment and cutting-edge techniques, we will tighten and firm up your sagging skin so can reach your aesthetic goals. To know more, schedule a consultation today by calling (858) 943-2113. Our friendly, compassionate staff will address your concerns and answer your questions before crafting a treatment plan customized to meet your needs. Contact Cosmetic Laser Dermatology today to find out which treatment best delivers tighter, firmer, healthier looking skin for you. Q: What causes volume loss? A: Volume loss is typically caused by heredity, excessive /chronic sun-exposure and time, although other factors can have an impact. Aging contributes to the loss of volume by breaking down collagen, which is responsible for keeping your skin firm and strong. Other factors include yo-yo dieting, trauma, stress, and smoking. Q: What is the best treatment to help reduce volume loss and tighten skin laxity? A: This varies from person to person. One reason is what works for you may not work for someone else. Another reason is different treatments are better for certain parts of the body. Some treatments are specifically designed for particular areas, like Juvederm Voluma is for the mid-face/cheek area, while others can treat one or more areas. The best way to determine which sagging skin treatment will benefit you most is to schedule a consultation with our team of experts. Q: How much are treatments for volume loss and sagging skin at Cosmetic Laser Dermatology? A: Because there are various treatments, each tailored to meet your unique needs, the cost varies. Once you have an initial consultation with our experts, you’ll be able to determine your cost when they design your personalized treatment plan. Q: Are procedures for sagging skin and volume loss safe? A: Yes! Cosmetic Laser Dermatology takes your skin seriously and your healthy skin is our passion. We specialize in minimally-invasive and non-invasive solutions for your sagging skin and volume loss. Injectable filler treatments are minimally invasive while treatments with radiofrequency or ultrasound energy deliver results safely and effectively with the need for surgery. Contact us today for a treatment plan that’s effective and safe enough to rejuvenate your sagging skin. A: This depends on the treatment. Injectable fillers can deliver visible results within minutes, which then last for up to 12 months, if not longer. Radiofrequency procedures offer immediate results that continue to improve over time for natural-looking enhancement that can last for 1-2 years, sometimes more. 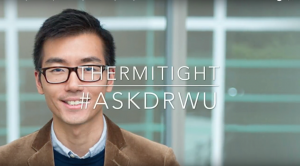 Q: Am I a good candidate for sagging skin treatment? A: Although this must be confirmed by a meeting with our experts, it’s very likely that you are, especially If you have mild to severe sagging skin and volume loss on your face, hands, neck, arms, thighs, knees and upper chest. During your consultation with us, you’ll be able to share your concerns and ask questions to find out the best treatment for you. Q: Is treatment for volume loss painful? A: Generally speaking, both injectable filler treatment and ultrasound or radiofrequency treatment cause little pain. During a dermal filler treatment, we use ultrafine needles or cannulas, which combined with expert technique, often feels like nothing more than a pinch on your skin. You also can choose to have a topical numbing agent applied prior to your procedure. Treatment with ThermageFLX, Ulthera and other energy procedures are non-invasive. You may feel a heating sensation, but it’s typically easily tolerated. Q: Do treatments cause downtime? A: Because our skin sagging and volume loss treatments are minimally-invasive, you should incur no downtime. Most patients typically experience no disruption to their daily schedule.